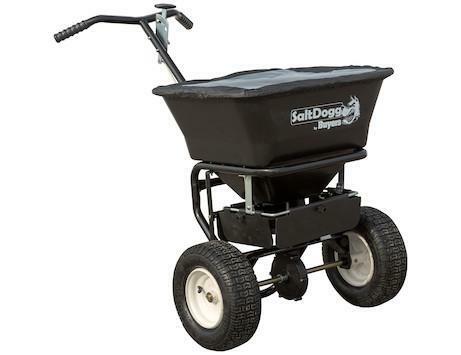 SaltDogg WB100B Salt Spreader | McGuires Distinctive Truck in Carroll OH | Home for trucks,trailer, and lawn equipment. 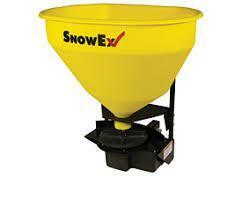 Use with bulk salt, bagged salt, or ice melt using the spreaders bulk flow gate design. Poly hopper won't rust or dent. Enclosed gear box with grease fitting shields commercial grade alloy gears from weather, rust, and cold. Flow regulator with solid control linkage. Spreads up to 24 ft. Fully welded frame in either stainless steel or powder-coated carbon steel for excellent corrosion resistance. Large 13 in. pneumatic tires, solid axle, and glass-filled nylon wheels for durability. Hopper screen and plastic rain cover are included. 3 adjustable poly deflectors control your spread pattern. 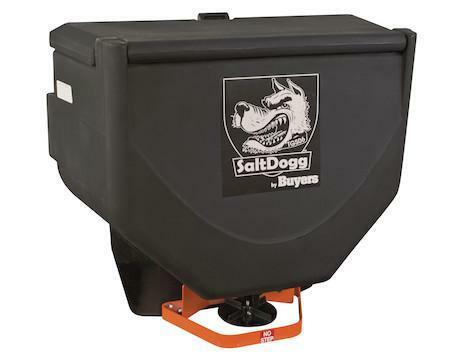 Buyers Products SaltDogg Bulk Salt Walk Behind Broadcast Spreader features a bulk flow gate to handle bulk salt. 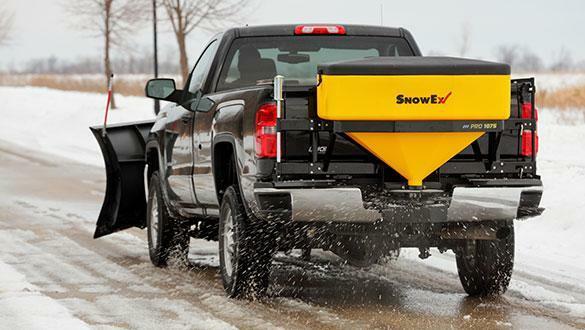 That gives contractors, facilities managers, and property owners the ability to use the bulk salt that is used with the rest of their spreader line-up with the walk behind. The spreader broadcasts material up to 24 ft. The enclosed gearbox with commercial grade alloy gears and an integrated grease fitting ensure that the moving parts of the spreader are out of the elements and are easy to maintain for years to come. 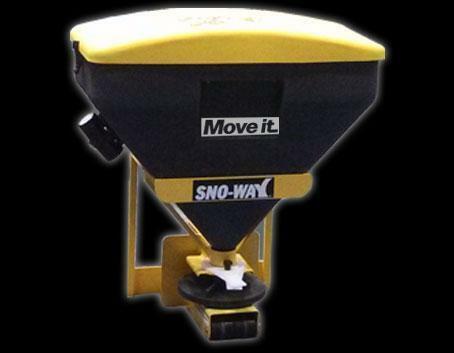 The broadcast spreader has a 1.5 cubic foot poly hopper that can accommodate 100 lb of bulk salt, bagged salt, or ice melt. Its fully welded frame is available in either stainless steel or powder-coated carbon steel. The hopper assembly sits on 13 in. pneumatic tires with a solid axle for a reliable ride. A fixed rear deflector and three poly deflectors allow you to adjust the spread to your needs. The material flow regulator has a solid linkage control for ease of use. 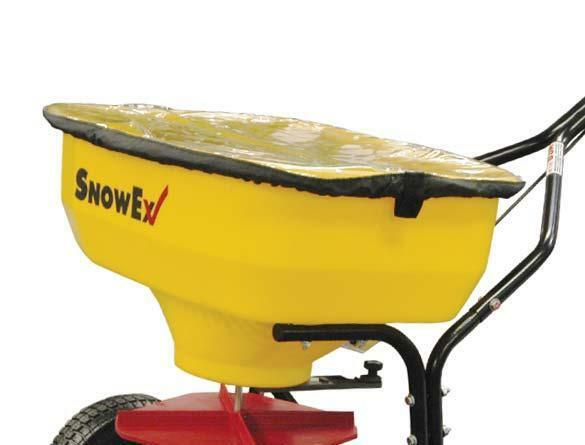 The spreader comes with a convenient hopper screen and nylon rain cover to keep the material dry and easy to spread.